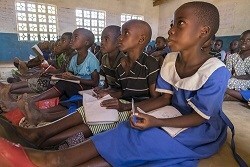 The Gumbi Education Fund was set up when readers of the Guardian newspaper in the UK responded to an article about how the village of Gumbi in Malawi recovered from a famine in 2002, and focuses on improving the lives of children through access to education. Each year, a budget for the year ahead is agreed, and a village education committee identifies children eligible for scholarships to pay for their secondary education. Money is sent three times a year to each village. All money must be spent on education, but in times of great hunger or need, the fund will pay for school feeding programmes to encourage children to keep going to school. The fund has no administrative costs beyond paying a local government health worker in Malawi to liaise between village education committees and schools. 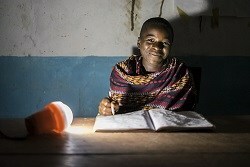 “These bulbs will change lives. Our days will be longer and nights shorter. “Our family was absolutely poor. Without it we have no hope at all.